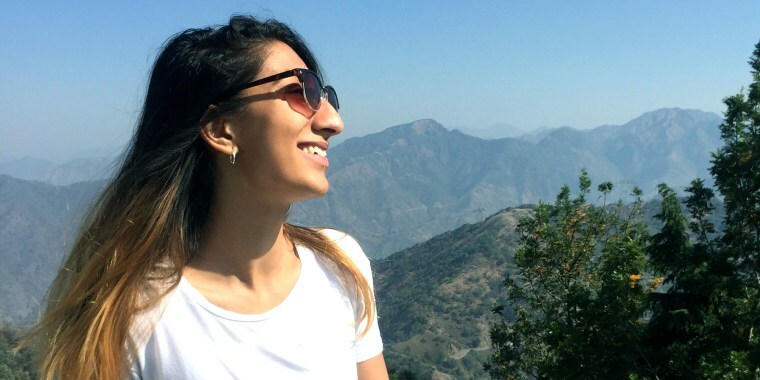 Radhika Sanghani is "breaking the big nose taboo." That’s what Radhika Sanghani wants everyone to know. The London-based writer, 27, recently launched a Twitter campaign urging women to embrace their nose shape. She posted a side profile of herself and urged other people to do the same. The response was very positive, with hundreds of women and men sharing their own side profile selfies. Many people wrote about their lifelong struggle to embrace their nose shape and size. Today, women are embracing everything that makes them uniquely beautiful, from cellulite to freckles to gray hairs, but nose shape is not often mentioned in the body positive movement, Sanghani says. Sanghani has always been self conscious about her strong profile, and she admitted it was “terrifying” to kick off the campaign with her own selfie. In the end, however, Sanghani decided to post her own photo to help others feel more confident. In addition to all the public responses to her tweet, Sanghani has received several private notes from people thanking her for her body positive project. “I’ve been in tears at some of the messages, from people in their 50s who’ve hated their noses their entire lives until now, and young girls who have changed their minds about getting nose jobs,” she told TODAY. Sanghani said she has been “beyond overwhelmed” by the positive response to her campaign, and she is thrilled that the “big nose taboo” is finally breaking down.